In 2003, we embarked on a mission to create a romantic retreat for the people of Northwestern Ohio and Southwestern Michigan. Our goal was to build a Boutique Hotel that created an environment for you to make memories that would last a lifetime. Driving 4-5 hours from home, packing and unpacking, stressing about accommodations and restaurants in the area does not set the tone for a romantic getaway. We wanted to keep you close to your home and your kids but far enough away that you could experience a restful retreat. Transient motels and franchise hotels are for the road weary not for the romantics. You needed an experience! As owners of hotels for more than 30 years, we understand the hotel industry. We gathered ideas from our favorite hotels, then, combined them with added luxuries, impeccable service and an intimate, secluded setting. Our unique environment showcases several stunning suites: the Ultimate Whirlpool Suite, the Presidential Pool Suite the Royal Pool Suite, and the Grand Royal Pool Suite. Each Presidential, Royal Pool Suite, and Grand Royal Pool includes your own private, indoor swimming pool. 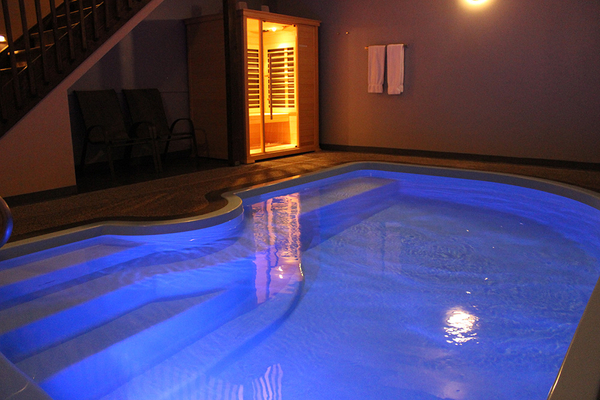 Our Royal & Grand Royal Pool Suites are expansive with over 1500 square feet of comfort and privacy. Top of the line amenities are included. For those of you who want to enhance your experience, we offer many extra enhancements and a-la-carte amenities designed to make your stay outstanding. We pride ourselves in assisting you in celebrating weddings, holidays and birthdays but don’t wait to celebrate life. Treat yourself by letting us cater to you for no reason at all! Take time to cherish your loved one and let us take care of the rest. 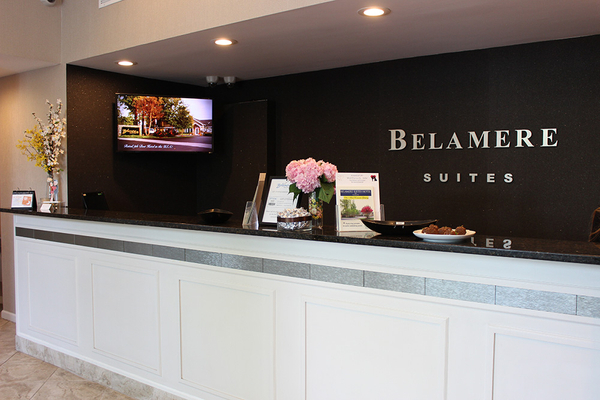 We know you will enjoy Belamere Suites Hotel as much as we enjoy serving you. Magic takes place when you arrive as two and leave as one!